When I began ‘The Rural Painter’ almost 3 years ago, I had a vision of art transcending borders and helping artists from around the world. 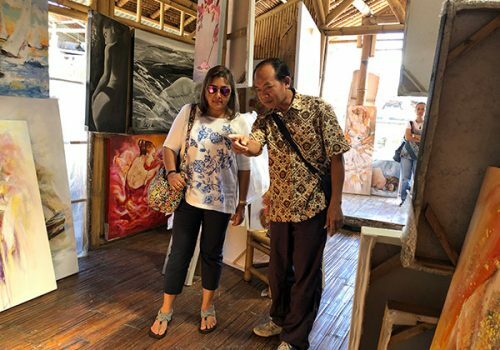 As I visit artists in Bali, Vietnam, Nepal and India, I am drawn to those who create what they see on a daily basis, whether it be a busy fishing village, a graceful Balinese dancer, a carved temple wall covered with moss or majestic mountain ranges. 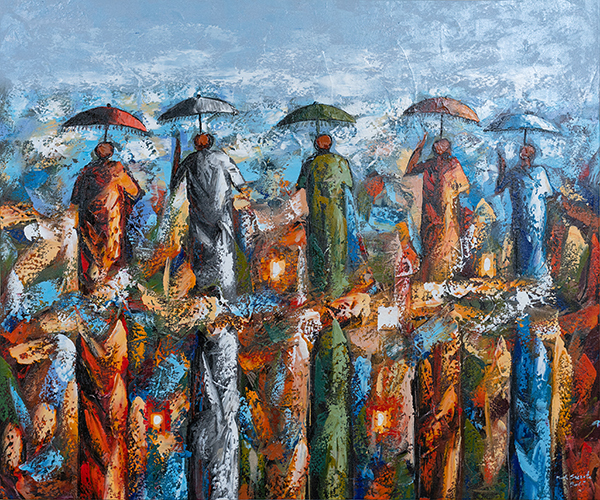 The Rural Painter strives to honor the divinity found in daily life through art. 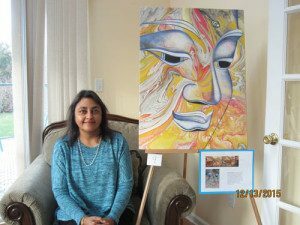 I never thought the experience of connecting with art would help me on my own spiritual journey. What surprised me even more was that others felt the same way. 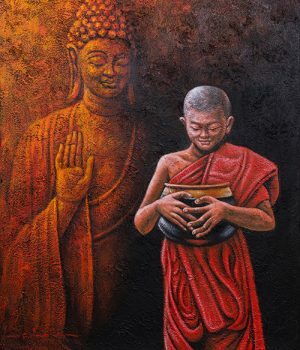 I am fortunate to enjoy a growing client base of soulful beings who, like myself, admire art from diverse cultures. They bring a piece of ‘spirituality from other lands’ into their homes. Not only does The Rural Painter endeavor to bring cultures closer, it is eager to participate in and contribute to meaningful causes. We donate a portion of the proceeds from charity gala sales and our partnership with over sixteen different charities (and counting) has been fulfilling. 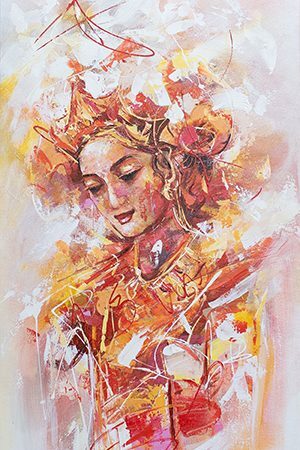 Little did artist Ketut Budiawan from Bali know that the sale of ‘The Dancer’ in the US, gave a victim of domestic violence a chance to rebuild her life with the help of Sakhi. Or that an artist named Pradeep Shrestha from Nepal through the sale of ‘Motherhood’ at the Pratham Gala, NYC would enable the gift of education to a child in India. 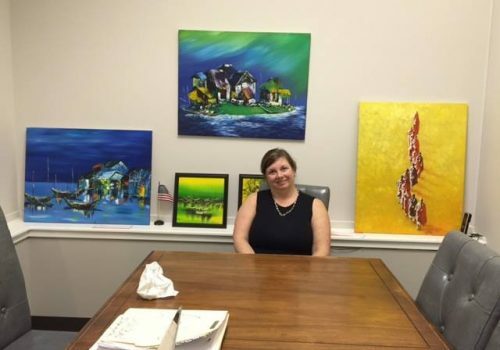 Beyond the Charity Galas, The Rural Painter donates towards clean drinking water in developing countries through Charity Water, NYC, because water is life’s most basic human need. 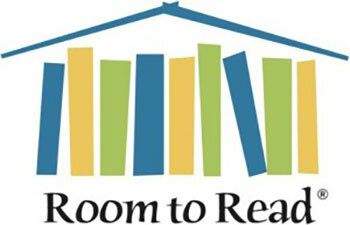 Stay connected for our next post with stories and paintings from The Rural Painter’s upcoming journey this Spring to Chiang Mai in Thailand. Thank you for being part of our global journey.